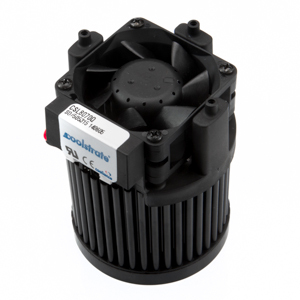 Cooliance provides a range of pin fin forged high-performance passive, and Coolstrate® active, pin fin LED heatsinks for the ZHAGA Book 10 (formerly Book 11) specifications for 35mm modules with a 25mm hole diameter and M3 holes. Zhaga Book 10 specification COB LEDs or LED Holders mount directy onto the heatsink. Many COB LEDs can be adapted to the ZHAGA mounting dimensions by using LED holders from the manufacturers listed in the sidebar. 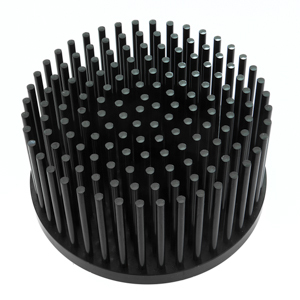 Cooliance will ship each heatsink, listed below, pre-drilled.